Research shows that Chick-Fil-A is a go-to spot for breakfast and lunch but restaurant traffic for dinner time drops significantly. The internal team was looking for a creative opportunity to provide a new dinner experience to consumers that fit their evolving needs. Sitting down to a nice family meal has been a tradition for many households, but finding the time to plan and create a meal is often quite difficult for today’s busy family. 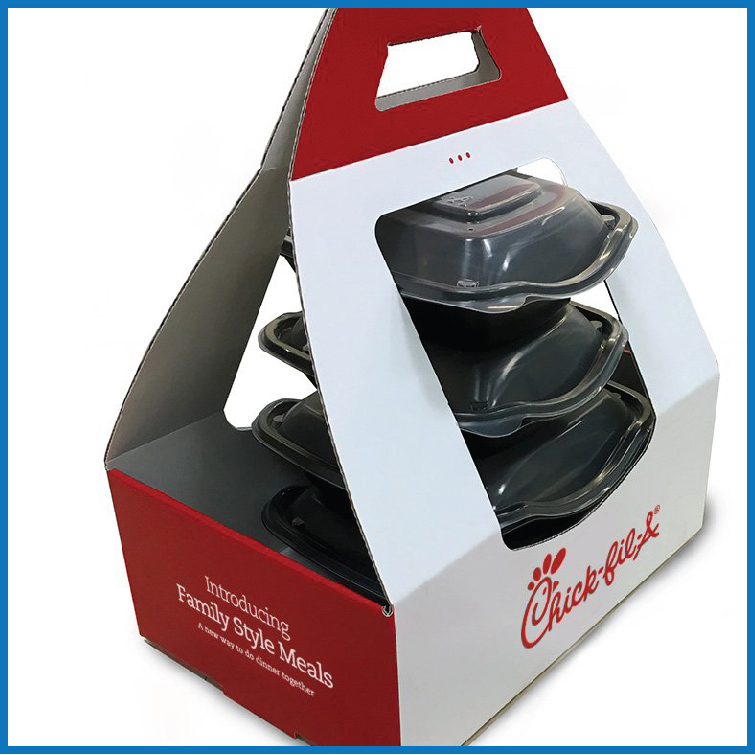 With the increase in popularity of family-style meal packs, Chick-Fil-A saw an opportunity provide a meal experience that would allow their customers to have a family dinner at home, even if they are running short on time to cook. Our goal was to create a packaging solution for a family meal that provides delight, upholds food safety and quality, and remains easy to assemble in the restaurant. After generating multiple rounds of concepts and prototypes, the team identified the A-frame construction as the best direction. An A-Frame construction tightly holds the existing food containers while allowing the customer to see each food item to ensure order accuracy. An open box at the base has the flexibility to hold auxiliary items such as sauces as well as a thoughtful envelope with napkins & utensils tucked inside. 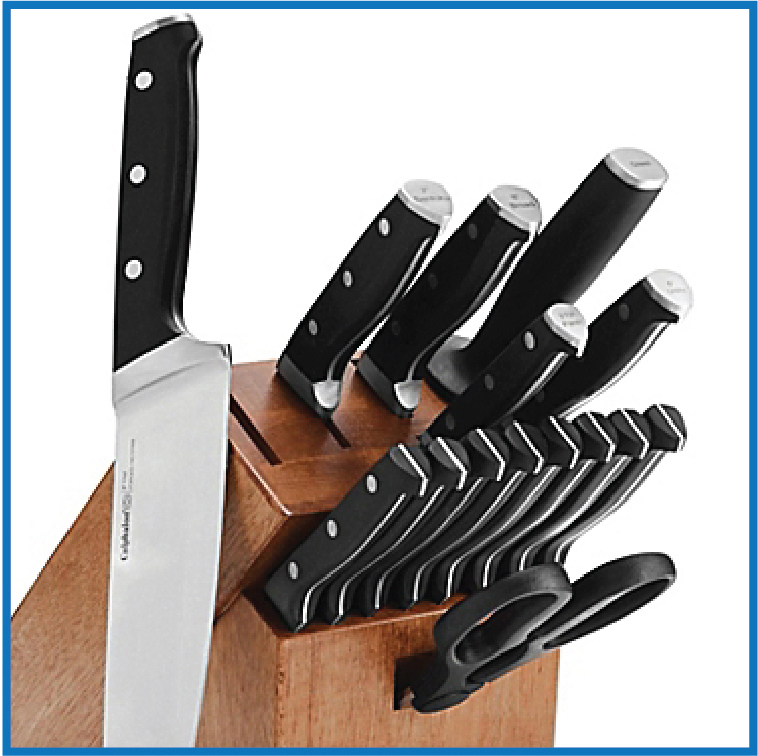 The ease of assembly is key for restaurant operators. The package packs flat and easily pops into shape because of an auto-bottom feature, eliminating the need for complicated assembly procedures. The simple construction also allows for easy breakdown making recycling a snap for the customer. The final solution is durable, stable during transport, and can be carried easily with one hand. It’s unique profile can be quickly identified as a Chick-Fil-A Family Meal. The customers are drawn to the simplicity, durability, and compact nature of the package, as well as the ability to easily see all items in the meal so order accuracy is assured. With the early success of Family Meals, look to enjoy them at your local Chick-Fil-A soon.